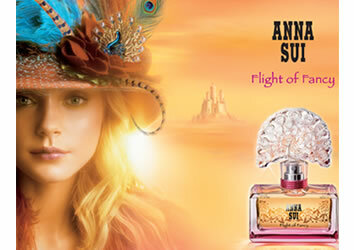 Anna Sui Flight of Fancy opens with a burst of lychee and citrus, this gives a fresh yet full start to this feminine perfume. The heart of flight of fancy blends magnolia, rose and sheer Purple Rain freesia, for a distinctly womanly edge that is not heavy but soft and subtle. The base of this mouth-wateringly sensual perfume mixes amber crystal, musks and white woods.